Pretty pastel Easter centerpieces are cool, but pretty pastel Easter centerpieces that are chocolate and homemade? Well, that’s taking it to a whole new level. 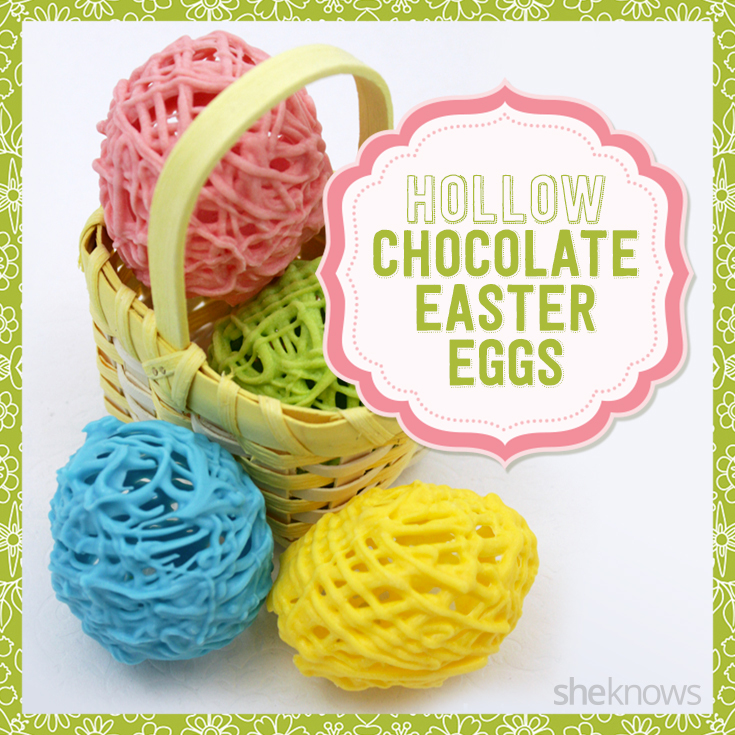 This surprisingly easy DIY is a chocolaty twist on the old yarn and balloon trick. Even the DIY-challenged will be able to pull off fancy eggs that no one will believe you made at home on the cheap. 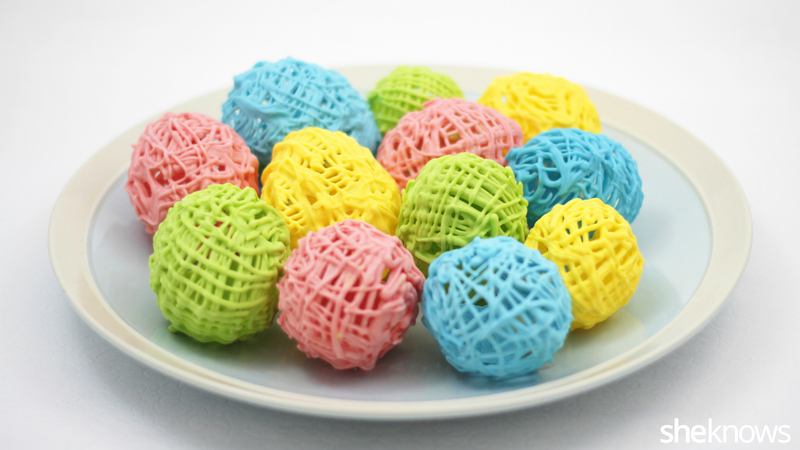 For an added bonus, you can take these eggs to the next level by hiding more candy inside and using them for Easter egg hunts. 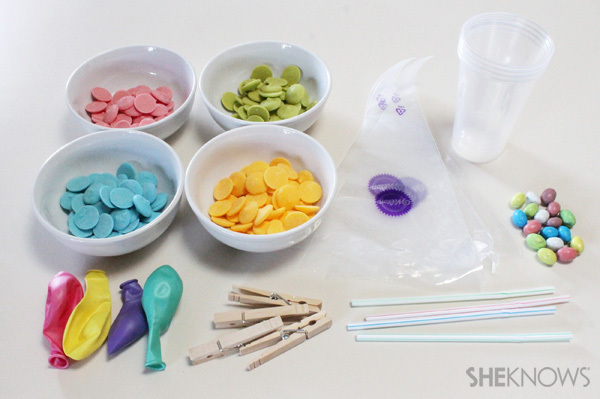 Inflate the balloons slightly, to about the size of a real egg or slightly larger. (Do not use water balloons. The latex is too thin and will burst when you pour hot melted chocolate on it.) Put 1 cup of chocolate candy melts into a bowl. Microwave for 30 seconds at a time, stirring after each heating until completely melted. Pour the melted chocolate into a piping bag or zip-close bag. Cut off the tip. 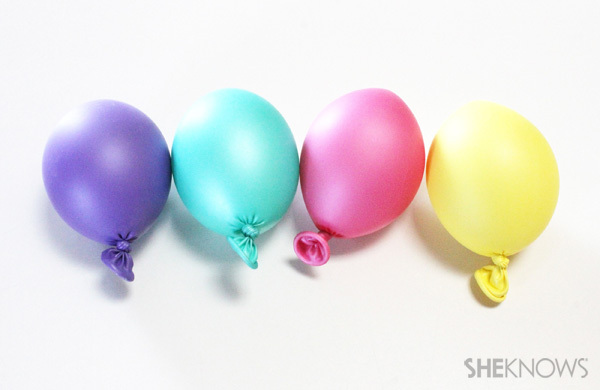 Working over the sink or newspaper, hold an inflated balloon by the tied end. 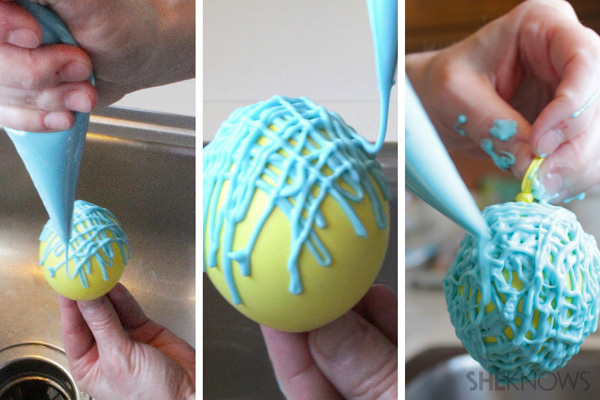 Lightly spray your balloons with nonstick cooking spray, then drizzle melted chocolate across the bottom of the balloon in all directions. Turn the balloon over, and continue drizzling chocolate over the top and sides. 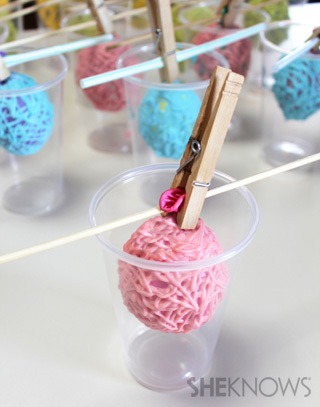 Using a clothespin, clip the balloon to a straw or wooden skewer, and balance it inside a cup or glass to dry.